» Clayton Wong has been elected president of the Rotary Club of Ala Moana for the 2006-2007 term. He is a consulting structural engineer and has been a Rotarian for five years. >> The Council on Social Work Education has elected Jon K. Matsuoka to its board of directors. He is the Dean of the University of Hawaii School of Social Work. He has been elected for a term of three years. » The Cancer Research Center of Hawaii has hired Michele Carbone as Thoracic Oncology Program director and Basic Sciences associate director. Carbone recently served as a professor at Loyola University Medical Center's Cardinal Bernadin Cancer Center in Chicago, Department of Pathology, Thoracic Oncology Program. » The University of Phoenix, Hawaii Campus, has hired Nancy Tahara as Campus College Chair in charge of the College of Health Sciences. She has been teaching at the university for the past two years. She previously worked at Castle Medical Center, assisting with family education classes. » Sarah E.K. Bredhoff. The senior trust officer will be responsible for managing client relationships and financial portfolios. » Margaret "Margie" T. Mung Lim; she will continue her responsibilities as Waialae-Kahala branch manager. 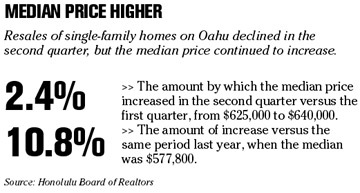 » Frederic K. Nii, who also was named Wailuku branch manager. 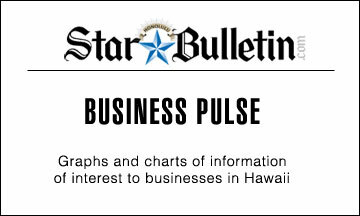 He will be responsible for overseeing the Paia and Hana branches and working closely with the Maui district manager to coordinate new employee hires, transfers and promotions for the Maui District. 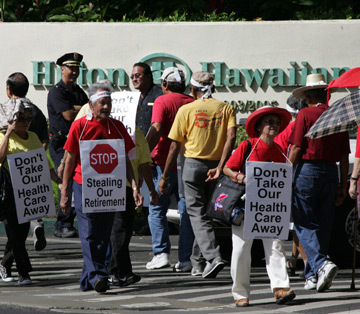 Retired hotel workers rallied yesterday for their union, Unite Here Local 5, at the Hilton Hawaiian Village. The union is in contract talks with Hilton and several other Waikiki hotels. The union says the hotels' current proposal would provide an insufficient employer contribution rate to the worker pension fund and pay less than what the plan's joint consultant said is needed to maintain worker medical funds. The hotels have said that their contributions are sufficient, and that their proposal will actually bolster employee health and welfare funds. Pension funds are just one of the many issues in the ongoing negotiations, which range from wages and benefits to work flow and job protection. BALTIMORE » A federal judge yesterday overturned a Maryland law that would have required Wal-Mart Stores Inc. to spend more on employee health care. The state law would have required large employers to spend at least 8 percent of payroll on health care or pay the difference in taxes. Only Wal-Mart would have been affected by the law. U.S. District Judge J. Frederick Motz concluded that the law would have hurt Wal-Mart by requiring it to track and allocate benefits for its Maryland employees in a different way from how it keeps track of employee benefits in other states. The Retail Industry Leaders Association, of which Wal-Mart is a member, filed the lawsuit contesting the legislation. The group contended the law unfairly targeted the world's largest retailer. SAN FRANCISCO » Intel Corp.'s second-quarter profit plunged 57 percent as the world's largest chip maker struggled with stiff competition and a shift in demand toward less expensive products. The company yesterday also posted a disappointing revenue forecast of $8.3 billion to $8.9 billion for the current quarter -- less than the $9.04 billion expected by Wall Street analysts. Net income for the three months ended July 1 was $885 million, or 15 cents a share, compared with $2.04 billion, or 33 cents, in the same period last year. Revenue fell 13.2 percent to $8 billion, at the low end of a forecast Intel delivered in April. The Santa Clara-based company reported sales of $9.23 billion in the second quarter of 2005. SAN FRANCISCO » Apple Computer Inc. yesterday easily topped Wall Street's income forecast for the spring quarter with a nearly 48 percent profit increase driven largely by the continued popularity of its industry-leading iPod music player. For its fiscal third quarter ended July 1, Apple's profit rose to $472 million, or 54 cents a share, up from $320 million, or 37 cents per share in the same period of 2005. That was 10 cents per share better than the mean forecast of analysts surveyed by Thomson Financial. Sales grew to $4.37 billion from $3.52 billion last year. That number fell shy of the mean estimate of $4.4 billion among analysts. The Cupertino, Calif.-based company shipped 1.3 million Macintosh computers and 8.1 million iPods -- the overwhelming leader among digital music players -- during the quarter. The numbers represent a 12 percent increase in Mac sales and more than a 32 percent jump for iPods from the third quarter in 2005. NEW YORK » Two of the nation's largest banks -- Bank of America Corp. and JPMorgan Chase & Co. -- reported second-quarter earnings above Wall Street expectations, with strength in investment banking and asset management offsetting interest rate pressures on their retail banking operations. Bank of America posted profit of $5.48 billion, or $1.19 per share, an 18 percent rise from $4.66 billion, or $1.14 per share, a year earlier. Stronger fees from investment banking and its capital markets business helped lift revenue 25 percent to $18.52 billion in the April-June period from $14.78 billion last year. JPMorgan, the nation's third largest bank, said profit totaled $3.54 billion, or 99 cents a share, in the April-June period, compared with $994 million, or 28 cents a share, a year earlier. Revenue was $14.94 billion in the period, up 19 percent from $12.5 billion a year earlier. TRUCKEE, Calif. » Developers broke ground yesterday for a luxury resort hotel at the Northstar-at-Tahoe ski resort that will be modeled after upscale mountain lodges built in the West a century ago. The 173-room Ritz-Carlton Highlands, Lake Tahoe hotel is scheduled to open in late 2009. The $300 million project also includes ski-in, ski-out homes, condominiums, restaurants, swimming pools and a spa. The project is being developed by East West Partners and Crescent Real Estate Equities Co., and will border the 1,450-unit Highlands community that East West and Crescent are developing. MOSCOW » Shares of OAO Rosneft got off to a tepid start in London yesterday, proof, analysts said, that the state-controlled oil company had slapped too high a price on Russia's biggest and disputed public offering. Official trading opened one day after OAO Yukos, once Russia's largest oil company, failed to convince a British judge that allowing the shares to trade would constitute the sale of stolen goods. Yukos' biggest fields were bought by Rosneft at a reduced price after they were auctioned off against its $28 billion back tax bill in 2004. Shares in Rosneft closed at $7.54 on the London Stock Exchange, below the offer price of $7.55.